Develop your craft with instructive ZBrush models. Complete organized body and face mesh with ZBrush polygroups. The mesh includes separate eyes, teeth, tongue, and gums. It also features one level of subdivision allowing you to step down to a lower level and make clean form changes. This mesh is ready for production. The download also includes a separate .obj for use without ZBrush. Most 3D programs can import an obj. This is an all quad animation ready mesh. Own the mesh to use as a learning tool, or use it as a starting point for one of your own creations. The .ZTL also comes with polygroups for easy selections. The Stylized Animation Mesh covers the entire figure. Use the mesh to study the layout and edge-flow of an animation ready mesh. The perfect tool to use as a starting point for one of your own creations. 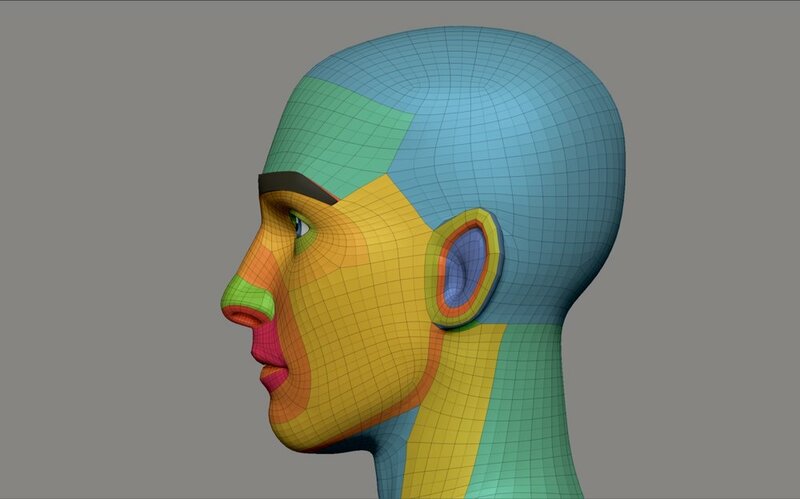 Reference the head topology to prepare your characters to deform properly with blend shapes. Steps down to a lower level. Full polygroups for easy selections. Ability to step down one level for more global mesh control. This bundle includes two full figures, the thin and thick body types. Includes two full female figures. Standard and large body types. Covers the major muscle origin and insertion points of the body; a key element in mastering anatomy. We also showcasing how they impact the final form and silhouette of the figure.